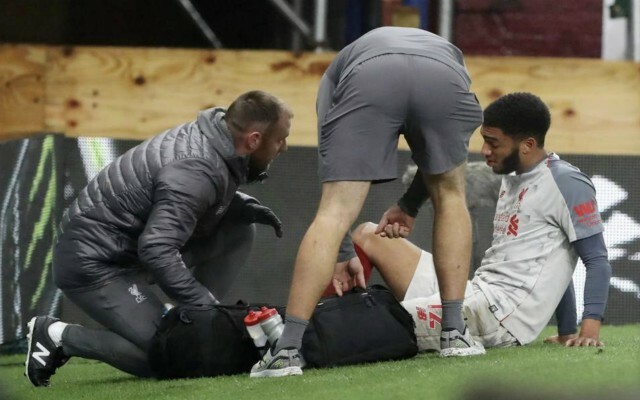 Liverpool defender Joe Gomez has been ruled out of action for between four to six weeks after sustaining a leg fracture against Burnley. 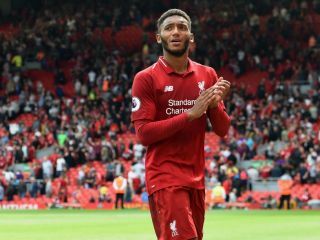 The 21-year-old has been a fixture in Jurgen Klopp’s starting XI this season, forging a formidable partnership in the heart of the defence with Virgil Van Dijk, while also proving himself to be an adept full-back. The Reds have conceded just six Premier League goals in their first 15 matches of the 2018-19 campaign and they currently sit two points behind leaders and defending champions Manchester City in the table, with an unbeaten record still intact. A 3-1 win at Burnley on Wednesday night ensured they kept in touch at the top, but it came at a heavy price as Gomez was forced off the pitch after a reckless Ben Mee challenge. According to The Sun, the Englishman will now miss Liverpool’s entire festive period as he recovers from a fractured leg, which is a huge blow for Klopp as the fixture list starts to pile up. The German boss was involved in a touchline row with Burnley boss Sean Dyche at Turf Moor after witnessing the tackle from Mee and his mood will not have been improved by this latest news. Gomez has emerged as one of the team’s most important players over the last few months and without his assured, technical prowess at the back, the Reds might struggle to maintain their brilliant defensive record in the coming weeks. Dejan Lovren will likely be brought back into the starting line-up in his absence, with Joel Matip is also available to provide cover, as Liverpool look ahead to crucial games against Manchester United and Napoli later this month. Klopp’s men are gunning for silverware on all fronts this year and their resolve is now going to be tested more than ever, but they still have the squad depth to cope without Gomez and maintain their strong form heading into the second half of the season.